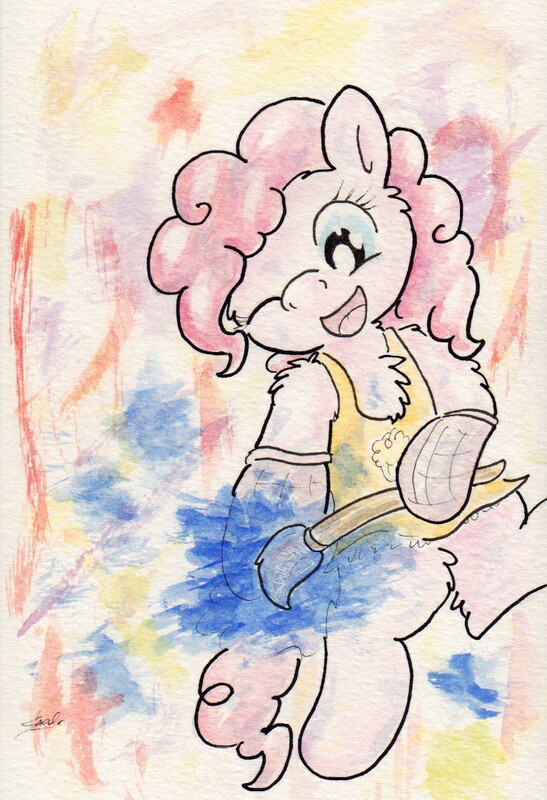 Messy art happens when Pinkie puts on her messy art equipment (which is also what she uses to cook cupcakes with little fillies, but no matter). She broke into my very canvas.. she can do that, I guess. Nothing is safe - in fact, she splashed half of my drawing room! so my first tattoo is going to be of pinkie pie. I freaking love her so much. Aww, cool! I hope you'll show it off when you get it done! A bit of red--just a pinch! Add a stroke of fusia. Never apologize when you can PAINTALIZE! Heehee!! :D Never apologize when you can PAINTALIZE! thanks, just came to me hearing cupcakes.